So using AKura direct or Toro to OSSC makes this a bad idea then.. OH WELL..
Any validation on DreamPSU? Has that been proven 100% reliable? I’m using a DreamPSU with my USB gdrom and my DC is cold after 2 hours of use. No heat issues at all. 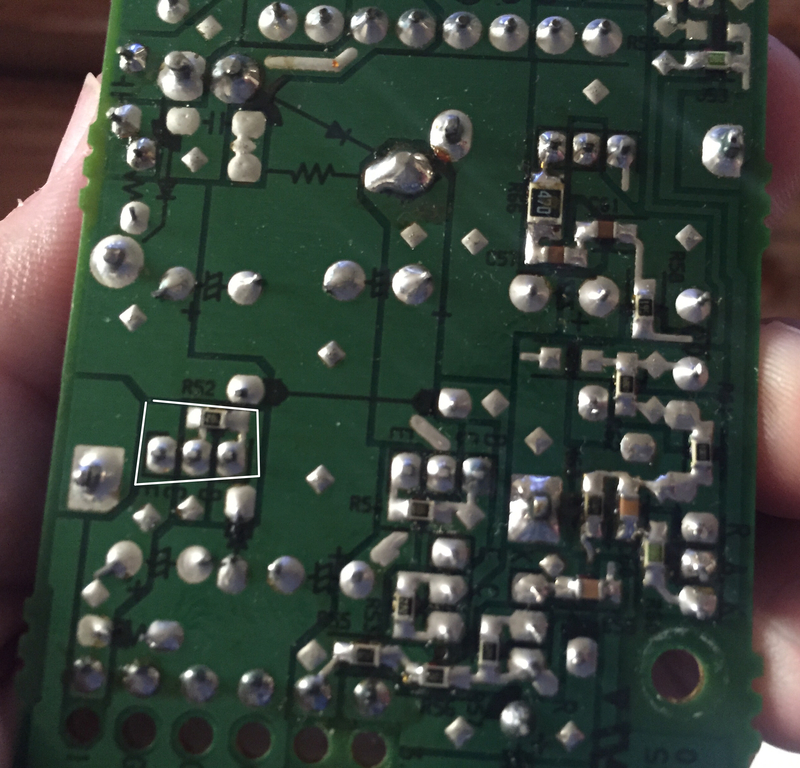 I have not done this in a while but this is my original picture on what to desolder to REMOVE 12v all together. If you use an external VGA box or some other accessory that needs 12v, this is not a good idea I guess. Blank screen with USB GD ROM installed. REsoldered back in.. Fired right up. You do not need the 12 volt rail. I've removed it on 2 DCs and USB GD-ROM worked fine in both without 12v. On one of the DC I ended up replacing stock psu with PicoPSU not even hooking up 12v. USB gd-rom works fine even with Toro box hooked up. Not sure why yours did not work. I know it Did it correctly. I used my desolder pump. Undid the screw. Sucked the 3 points and the regulator fell right out. The Resistor I used my hot Tweezers. Melted the solder on each side and lifted the resistors right up. Placed them to the side. POPed in the usb gdrom. Turned it on Black screen. Tried GDEMU card too. Neither gave me a pic. Even tried booting it with no gdrom drive or card attached. Nothing. Removed the power supply soldered it back in. Turned it on and worked perfect. But I now have 12V rail active. Was using composite cable for testing. Perhaps I'll try a different DC. so i just got the official dreamcast vga box and am wanting to test it with my usb-gdrom and the 12v removed, it should be fine right? also since mnemo still has not added .ccd support whats the best/easiest way to convert the indie releases to bootable .cdi? Can anyone confirm if opening and closing the lid resets to USB GDROM menu? If l reset out of a game I end up in the Dreamcast menu where it will only load the previous loaded game. Only way to get back to USB GDROM menu is to power off and on which is not ideal. Works fine on my v1 board. On the latest firmware also. D2 disc swapping also works fine for me on the latest firmware for folk that seem to have issues with it. During a game, open lid, it then goes back to ODE menu? Is it that simple? Can't understand why this has never worked for me. It goes back to the DC Bios menu, you then need to close the lid and press A on the launch game icon. I cleared my HDD and started again. And sure enough it works now. No idea why it wsn't working but I suspect it was the .inf files I had downloaded from mnemo's site. 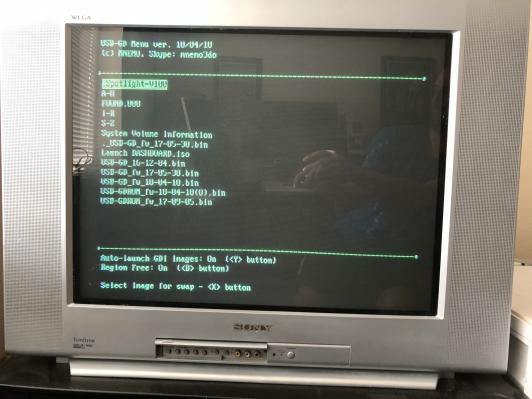 Anyone here have copies of the old USB-GDrom Firmware? I have a friend on DC-talk thats getting the "Firmware Obsolete" error. Wanted to try some older firmware on it to see if that fixes the problem. I don't think you can install older firmware on it. It is not possible to go back to older firmware after an update. Applied the new update today, just a warning the firmware is really obtuse about the upgrade process. I was on 17-5-30 and it refused to flash until I updated to 17-09-05. I found a download to that firmware at https://dreamcast-talk.com/forum/viewtopic.php?t=10392 because it is no longer on the main website for USB GDrom. Looks pretty good on a 480i screen, only the --- lines bounce around now and the rest of the text is stable. Haven't had/won't have time to test game compatibility though. eim88, Rocky5 and fafadou like this.